My friend Jessica, the one that creates these amazing science posters that I have in my home, has just launched a apparel line which I think you are going to love! Volume Twenty Five is giving away a t-shirt to one of my lucky readers! Head on over to their shop, browse their selection, then come back here and comment on which one you would pick if you are the winner. Please leave your email address so I can contact you if you are the winner. I will announce on Friday. I love all those shirts! so cute! but I think my favorite is the "COLLECT MOMENTS T-SHIRT" with the cute arrows on in it in white. I love the adventurer at <3!!!! It's so me!!!!! Love the COLLECT MOMENTS T-SHIRT. Love the message. My favorite would have to be the Wild & Free shirt. It's so befitting. For my son, where words fail music speaks, he loves to share his music with others! He's so sure it makes others happy ! 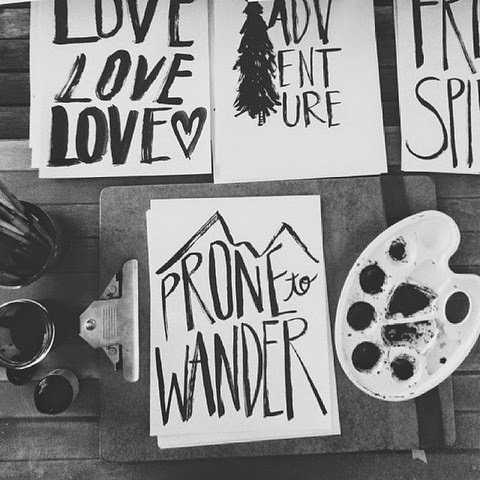 Love these...I love the Life's an Adventure. Have a great day and as always, I love your blog! I would choose life is an adventure. So cute! Tamheath02 (at) msn (dot) com. 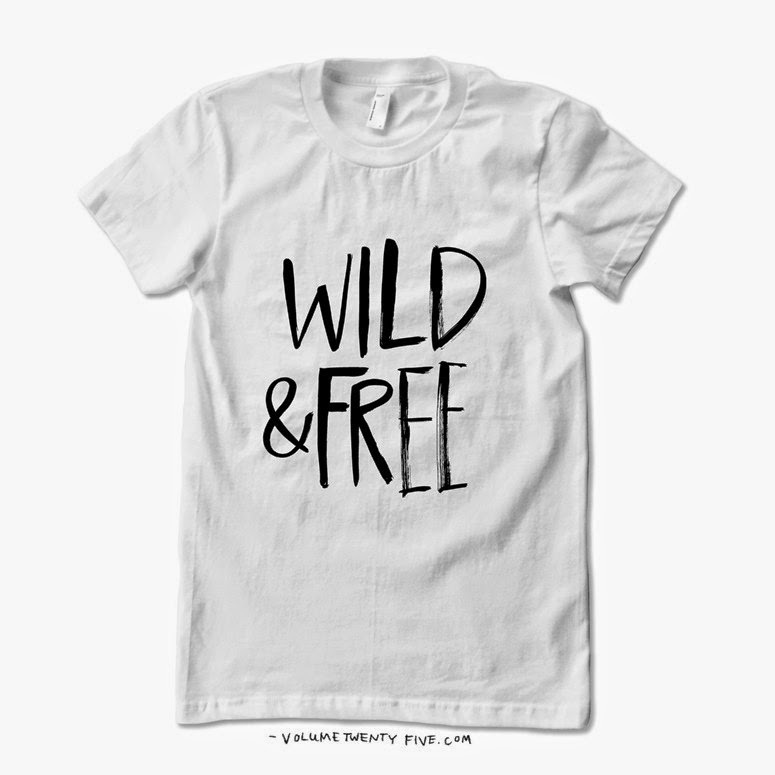 I love the "Wild & Free" shirt! Wow-love these shirts! Thank you Melaine and Volume Twenty Five for this giveaway. My favorite is the "Go With All Your Heart" shirt. Love the adventure with the tree! Great graphics!! I love both the "Be Kind" and "Wild and Free." They both perfectly suit my daughter. I would select BE KIND! thanks for the opportunity giveaway! I love the shirt that says Adventure! Thanks for the give away! My favorite is life is an adventure. I love the Navajo looking print behind the wording, very creative! Music Speaks . Seems like song lyrics always seem to relate to me. Country music is good for my heart and soul. Oh my coffee first for sure. Thanks for the chance at this great giveaway. Love ALL of them! But my fave is BE kind! Can'twe all be kind!? Definitely would be Collect Moments not Things! Either "Oh Hi" for my daughter or "Coffee First" for me! I would love the adventure one with the tree! So hard to decide between the Choose Moments tshirt and the Go With All Your Heart tshirt! I love them both!! Collect moments OR coffee first! I'll take the Wild and Free T in raspberry. The Adventure t-shirts are so cute! I think they should put the design on pillows as well! "Life is Beautiful" in black is my favorite! there are so many that speak to me but i love the be kind the most i think! Love the tshirts! I would choose "Collect Moments"
I really love all the t-shirts, but my favorite item is a print in the easy store that says "Wild and Free" on a beautiful mountain scene! 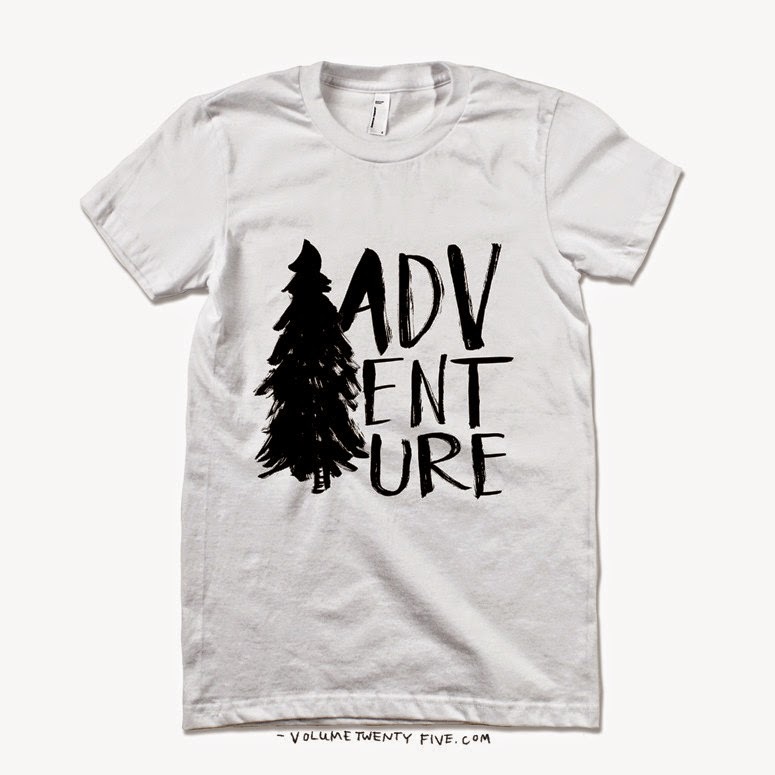 The Adventure tee would be my choice. Thanks for the giveaway! Absolutely the Adventure tee in black for my friend who is an Archeology professor! Love the "Collect Moments" t-shirt for myself but see lots that others on my X-mas list would love. Love the coffee first...that is my reality! Love the "Life is Beautiful" in white! Great give away! I love the "Charming" one! Love the graphics on these Tees and pillow covers! Favorite is ...wherever you go, go with all your heart. Email: [email protected] Thanks! Music Speaks t-shirt is my favorite. Thanks for the giveaway!! I love the "life in an adventure" t-shirt! I would choose Life Is Beautiful...because it is and sometimes people need the reminder. Be kind for me! Yet a great one for your site is, get inspired. Love visiting sense I have found you recently, always something exciting here. I love "Be Kind "!! Thanks for the chance to win! Love the coffee first one! What beautiful shirts, so hard to pick a fave! If I must it would be Music Speaks. Thank you for the chance! Love these shirts. Music Speaks would be my choice. My son (18) is very musical recently overcame a drug addiction thanks to the Lord. This tee made me think of him. I really like the "Collect Memories, Not Things" shirt but then I realized I have hoarder tendensies ;) So maybe the "Adventure" one with the evergreen is more my style. 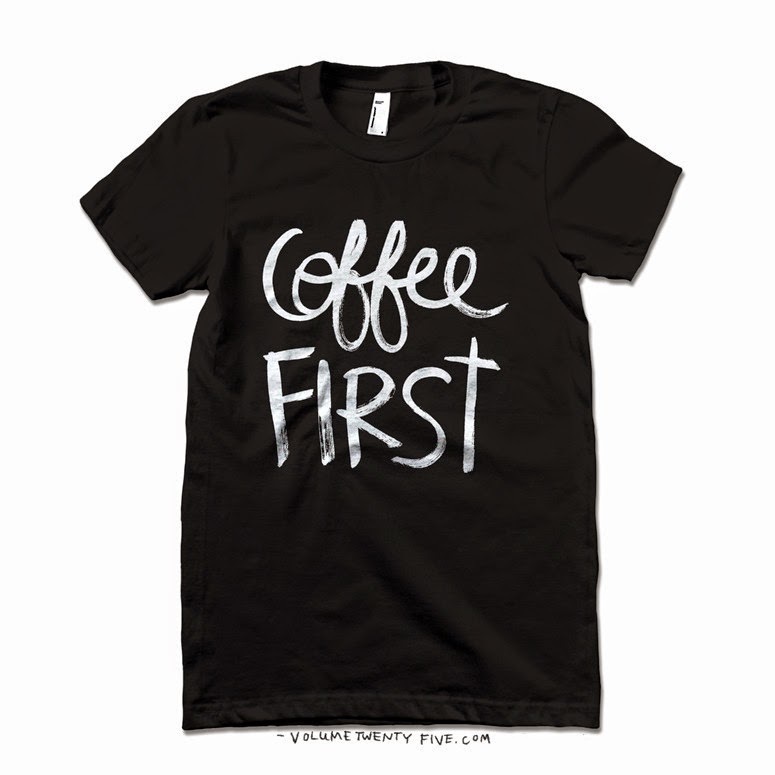 Coffee first is my favorite!!! How cute is that "Go With All Your Heart" t-shirt! I want it! I love the "Collect Moments Not Things" Tee!